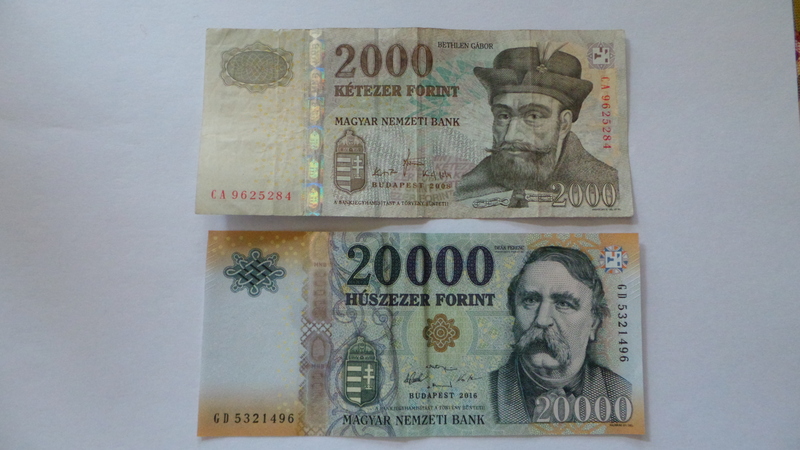 In Hungary the local currency is Hungarian Forint (HUF). It’s recommended to have some with you as some places (eg. stallholders on markets or smaller restaurants) only accept cash. 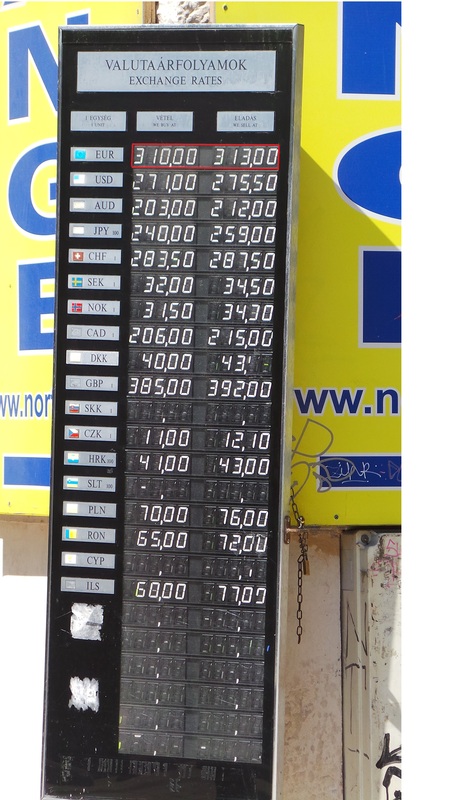 In some bigger supermarkets the Euro is accepted as well. Look for the Euro sign at the cashiers, as sometimes only certain cashiers will take it. If you do pay with Euros in a supermarket you certainly won’t get a good deal. It is best to use a card or Forints. Never change money at train stations, Budapest airport, in banks or hotels as they use unfavorable rates. Choose change shops in the center of the city and change preferably during daytime when all the change shops are open and they have to compete to get customers. Change shops are mushrooming in Váci utca (main pedestrian and shopping street in the very heart of the city, one corner away from Katona Apartments) and its surroundings, eg. Petőfi Sándor utca. As they all have similar rates, I suggest to check 2­ – 3 shops and choose the most favorable one. Usually there is not much of a difference between them. If you want to change EUR to HUF, and want to get a good deal, you should aim to change when there is just 1­ – 3 HUF difference between the ‘buy’ and ‘sell’ rate. 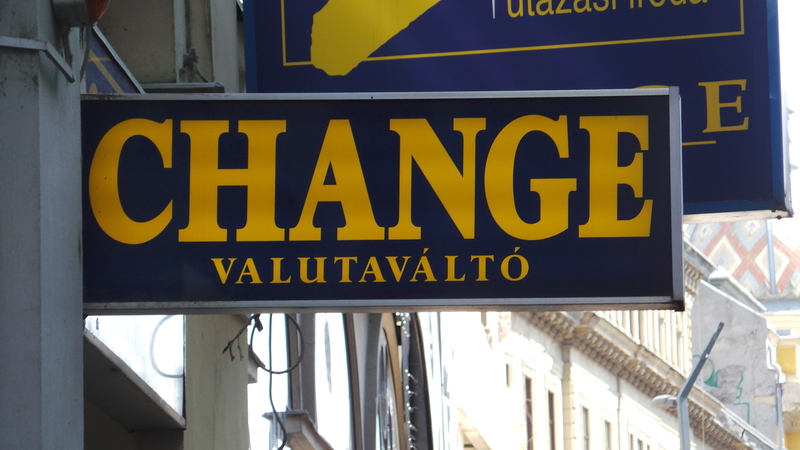 According to our experiences one of the best change shops is at Blaha Lujza tér, especially if you have to change a bigger amount, but it’s probably not worth going there unless you want to see a sight close to it. Eg. New York Café. Bank card and credit card acceptance is widely spread in Budapest. Visa, Maestro, AMEX and Diners Club are the most common ones. Always check the stickers or other signs at the entrance of the shop or restaurant to make sure your card will be accepted. Look for an ATM that belongs to a bank chain. 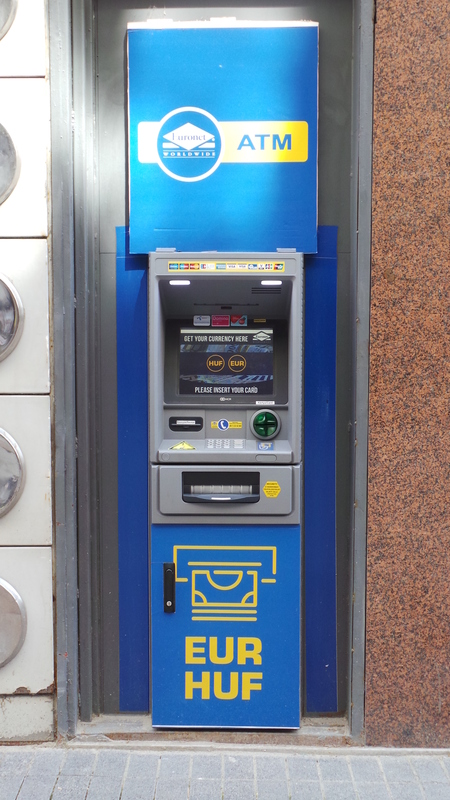 The blue ATMs that are spread all around in the city are not operated by banks, and withdrawing money from these blue ATMs will cost you more. Some ATMs are in the lobbies of the banks that are accessible 24 hours a day and you use your bank card to get in. Watch out! 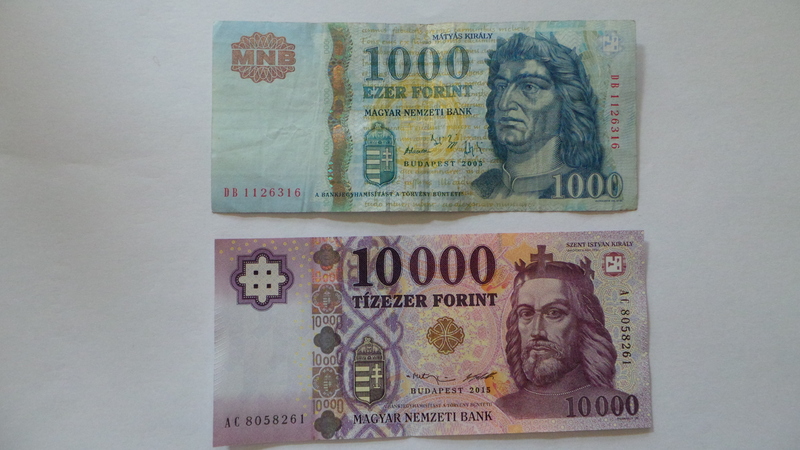 You may be confused by the Hungarian notes. It’s easy to mix up 1,000 and 10,000, 2,000 and 20,000 bank notes. How much money will you need for one day? Difficult to say, but I would estimate: 12,000 ­- 25,000 HUF (38 – ­80 EUR) / person / day excluding accommodation fee. Those who are on a low budget can easily spend less than this and those who are willing to spend more will find many places to splurge.